Tag Archives for " Brad Jefferson "
With consumers viewing more than 8 billion videos per day on Facebook and YouTube, it’s increasingly critical that businesses include video in their marketing strategy. Our survey revealed that consumers are nearly 50 percent more likely to read email newsletters that include links to video. Additionally, more than half of consumers said they’ve watched a company video that came through email. Videos shared on Facebook are proven to get more engagement than other types of media, and consumers are proven to interact with them. 84 percent of consumers said they’ve ‘Liked’ a company video in their news feed, and nearly half have shared a company video on their profile. A recent study from Socialbakers found that videos posted on company Facebook pages see an increase in organic reach of 135 percent, on average, over photos. Use Facebook to engage existing customers with videos promoting special deals, exclusive insider looks at your products and short, fun clips that show off your company’s personality. To pique the interest of new customers, feature a video about your company, along with videos related to your industry. This video, posted by photographer Kelly Brown on her Facebook page, has been viewed over 17,000 times and received over 600 likes, 71 shares, and 40 comments. Little Pieces Photography by Kelly Brown – Brisbane Newborn Baby Photographer from Kelly Brown on Vimeo. Video is a great way to move customers through the sales process — and especially to provide more details about your company and product offering. In a Video Commerce Report earlier this year, Liveclicker found companies that featured product videos on their websites saw larger average order values (AOV) than companies that did not. Consumers want an inside look: 80 percent of those surveyed said a video showing how a product or service works is important. Today consumers respond to, and even expect, video marketing on the web, via social, and in email. It’s the perfect time to start incorporating video into your marketing strategy. As founding CEO of Animoto, Brad leads the charge in driving Animoto to be the global standard for automated video creation. Prior to co-founding Animoto in August 2006, Brad spent eight years with Onyx Software, an enterprise software company. Through Brad’s career at Onyx he saw the company grow from a 17-person start-up to an 800-person public company, and eventually an acquisition. Brad graduated from Dartmouth College and currently resides in Oakland, California, with his wife and their two children, both of whom are stars of his frequent Animoto video creations. 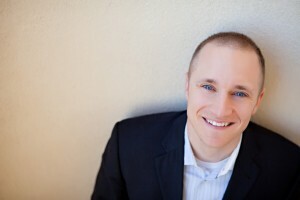 It is guest post day here at Duct Tape Marketing and today’s guest is from Brad Jefferson – Enjoy! The business benefits of video for brand discovery, web traffic and customer engagement have been widely documented over the years. But do people really find videos helpful in making purchasing decisions? In a recent survey of more than 1,000 U.S. adults, we learned that videos created by businesses really do help people make more confident shopping decisions and feel more connected to a brand. A whopping 96 percent of all respondents said they find video helpful when making purchase decisions online, and 73 percent said they are more likely to purchase a product after watching a marketing video. These are pretty convincing reasons to invest in video! Before you dash off to the scripting table, it’s important to understand that not all videos are created equal. Videos play different roles throughout each phase of the customer lifecycle, and the best approach is to create videos that are useful for each situation. At the acquisition phase, first impression is everything — and video can be the most personal and engaging way to reel in customers. The visual and storytelling nature of video lends itself to engaging prospects in a way that evokes emotion, reminds them of a need or desire, or teaches them something new. The survey revealed that 64 percent of consumers find it helpful to watch videos to learn more about the company they’ll purchase from. Whether it’s a funny video that’s low on branding but likely to be shared, or an informative video introducing your business, products or services, make sure it’s easy to find and not too long. Eighty-three percent of consumers we surveyed said the ideal length of a video to inform a purchase decision is five minutes or less. Post video on your homepage as well as Facebook, YouTube and Vimeo. Include a call to action at the end, such as an invitation to visit your website, so viewers know where to go to learn more. After hooking the prospect, you need to inspire action. Videos can play a big role in converting sales since they provide a quick and simple way to bring a product to life and turn a prospect into a paying customer. Ninety-five percent of consumers surveyed said they find video helpful in researching a product before they buy, and 93 percent find video useful when comparison shopping. Videos at this stage should include product features and use cases in greater depth, as the prospect is looking to understand your offering better. A good place to start is with simple informational videos, or if you have a tangible product, a 360-degree view video. Sixty-seven percent of consumers surveyed said they watched an instructional video in the past six months , and 57 percent watched a product or service demonstration in the same time frame. Brief customer testimonials explaining the problem your product or service solves can also give the prospect the connection they need to feel compelled to purchase. If you’re selling professional services, consider giving people a behind-the-scenes look at the people running your business so prospects build a personal connection to your team. It’s imperative to keep communications strong after purchase to earn loyal customers who will spread the word about your business to their own networks. Video can be a great post-purchase touch point. Ninety-three percent of consumers surveyed said that instructional videos related to products they have already purchased are useful. They are also likely to seek more video from a brand after an initial purchase; in fact, 87 percent of consumers find video helpful for researching additional items from the same company. When done well, videos can make people feel a strong connection to your brand. Seventy-seven percent of consumers consider companies that produce online videos to be more engaged with their customers, and 71 percent agree that videos created by companies leave them with a positive impression of the company, brand or product. With increased loyalty and brand affinity comes the powerful strength of word of mouth. Because online videos are so easy to share, they are a great way to raise brand visibility and bring the customer lifecycle full-circle. Eighty-nine percent of consumers surveyed said they are likely to share video if they consider it educational, 86 percent will share if there’s an incentive (e.g., a promotion or discount), and 80 percent are more likely to share if there’s a “share” button included. Video has been an incredibly powerful marketing tool for quite some time now. Yet only recently has it become a tool that’s accessible for marketers and businesses of all sizes with clear benefits to both customers and businesses. If you haven’t discovered video for yourself, there’s no better time than now to get started. As founding CEO of Animoto, Brad leads the charge in driving Animoto to be the global standard for automated video creation. 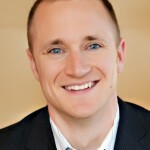 Prior to co-founding Animoto in August 2006, Brad spent eight years with Onyx Software, an enterprise software company. At Onyx, he was Director of Sales Operations and managed the national team of sales engineers. Previously, Brad managed Onyx’s Professional Services team and customer base in the western US. Through Brad’s career at Onyx he saw the company grow from a 17-person start-up to an 800-person public company, and eventually an acquisition. Brad graduated from Dartmouth College and currently resides in Oakland, California, with his wife and their two children, both of whom are stars of his frequent Animoto video creations.